A missing plane with a Salcha couple on board was found Wednesday with no survivors after rescuers and volunteers undertook an intensive three-day air search, an official said. Art and Ann Ward, whose plane went missing during a Sunday flight from their Salcha home to their homestead west of McCarthy, were found deceased Wednesday, said Alaska State Troopers spokesman Tim DeSpain. 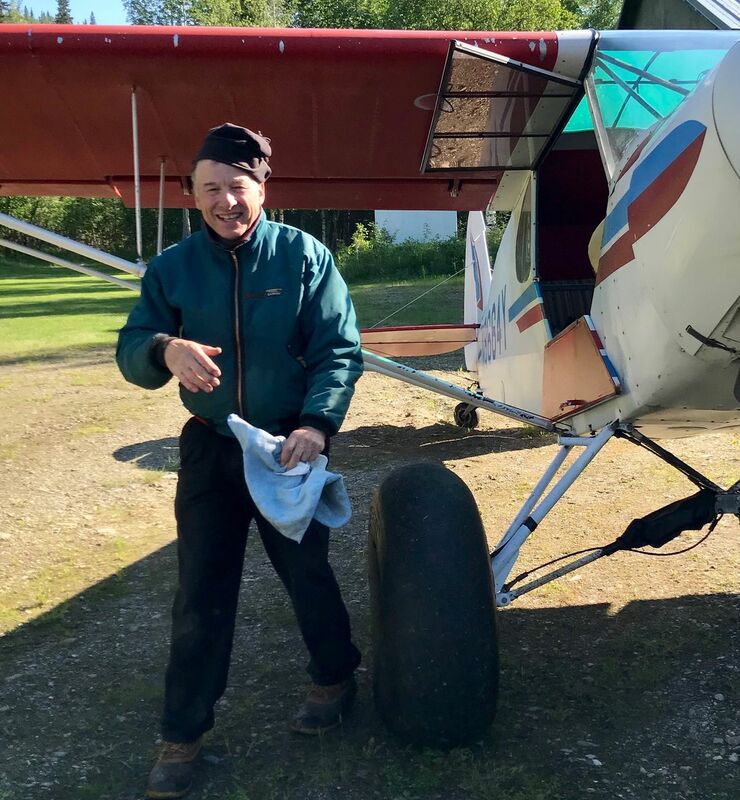 Art Ward, 63, was a pilot and game guide in the Brooks Range and was well known in Alaska hunting and aviation circles, an official with Wrangell-St. Elias National Park and Preserve said Tuesday. His wife, Ann, 59, was the only other person on board their Piper PA-18 Super Cub on Sunday. The wreckage was spotted Wednesday afternoon about 30 miles southwest of Fort Greely by an Alaska Army National Guard UH-60 Black Hawk helicopter, said Candis Olmstead, director of public affairs for the Alaska National Guard. The helicopter, which was was conducting a site survey training mission, landed at Molybdenum Ridge near the wreckage and confirmed that the plane was that of the missing couple, Olmstead said. Troopers will assist with body recovery Thursday, DeSpain said. The National Transportation Safety Board will investigate the plane crash. At least 19 aircraft searched for Art and Ann Ward on Wednesday — nine aircraft with various agencies, and 10 good Samaritan aircraft. The couple left Salcha between 11 a.m. and noon Sunday, and was expected to arrive that same afternoon. A family member called the Alaska Rescue Coordination Center on Monday morning to report the overdue plane, and the search had been ongoing since then, according to officials. Aircraft searched along possible flight paths the Wards may have taken, including spots where the plane may have been diverted due to weather or other reasons. Rescuers also conducted grid searches through the vast Copper River Basin, Olmstead wrote. Judy Trotter Stockton, one of the Wards' neighbors, set up a fundraiser Wednesday to help with fuel coasts for the volunteer air craft helping in the search. Stockton lives next to the Wards in Salcha. From her house, Stockton can see the landing strip where the couple took off in their plane Sunday. "These people were the pillars of our community. They are the most wonderful, giving people you could imagine," Stockton said. Stockton said that Wards have four children. Both of their sons are pilots, Stockton said, and both daughters live in the Palmer area. Stockton's fundraiser asking for fuel costs received a quick community response. By 7 p.m., upward of $19,000 had been raised for fuel costs. After news broke that the plane had been found, Stockton said the money will still be used to help cover the cost of fuel for plane recovery efforts. The fundraiser money will be placed in one of the daughters' accounts, Stockton said. Any money not used in the search and recovery process will be donated to the Civil Air Patrol, she said. "(Art Ward) always said, 'Well there's one thing about the Civil Air Patrol, they just keep looking for you,' " Stockton said. In a Facebook post, she thanked the community for the outpouring of support. "This will be a tough time for all of us. These were special people who will never be forgotten. They have touched many lives," Stockton said. Correction: An earlier version of this story said the Wards left Salcha between noon and 1 p.m. Sunday; they left between 11 a.m. and noon. The story also said the Alaska Army National Guard Black Hawk helicopter landed at Denim Ridge; it landed at Molybdenum Ridge.